Tanzania Olympics Committee (TOC) says it has no money to organise a camp for athletes ahead of the Brazil Olympics. Speaking yesterday, TOC secretary general Filbert Bayi said the committee has communicated the development to sports associations whose athletes will compete at the Rio Games. He said TOC has asked the sports associations to source for their own money and organise camping to prepare for the Games. This is a big blow to financially constrained sports associations as they depend on TOC to organise camping for 30 days and another one or two weeks in the Olympic Games host nation. The camp in host nation helps athletes to acclimatise with the weather and in most cases it is done at the village where the team camps. “For now we don’t have money to organise a local camp and even that of one week in the Olympics host nation, we have communicated to all sports associations on this development, unless some miracle happens then we can organise the camp. 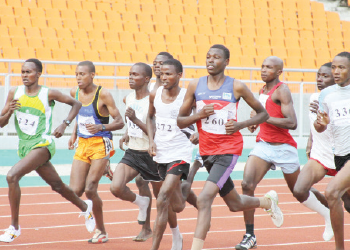 For now there is no money, I think sports associations have to follow what Athletics Tanzania (AT) has done by organising their camp early”, he said. This is not the first time that Tanzania athletes will travel to international event without proper camping. At the last year All Africa Games staged in Brazzaville, local athletes did not have any camp after the government advised NSA to prepare for their athletes training as it (government) had no money for camping. Meanwhile, eight athletes have reported for athletics camp in Siha District of West Kilimanjaro to prepare for the Brazil Olympics. Athletics Tanzania’s (AT) acting secretary general Ombeni Zavala said the athletes will be at the camp up to August when they will depart for Brazil to compete at the Games. She named the athletes as Fabian Joseph, Fabian Nelson, Alphonce Felix, Saidi Makula, Emmanuel Gimiki, Joseph Panga and Gabriel Gerard. They are being trained by coaches Francis John and Zakaria Barie. Zavala said only Alphonce Felix and Saidi Makula qualified for the Brazil Olympic Games, but the aim of AT is to see many athletes qualify for the Games. “Currently its only two athletes who qualified for this year Brazil Olympics, we hope the other athletes at the camp would meet the qualifier marks. Those who will not qualify for the Olympics will use this month’s Killimanjaro International Marathon to qualify or compete at other international events recognised by the IAAF ”, she said. She said as AT, they encourage athletes to compete at top international event as the shows give local athletes more exposure which helps them to excel at global platform such as the Olympic Games.